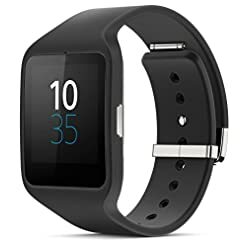 Keep your confidence levels during fitness activities high by wearing the Fitbit Alta HR special edition large fitness tracker – a small workout accessory which ensures heart rate measurement straight from the wrist due to the PurePulse® technology, as well as accurate calories, active time, distance, and steps monitoring. 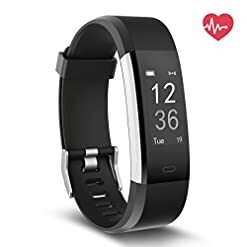 The device allows for comfortable stats check-up thanks to the Cardio Fitness Level feature, whilst everything you monitor is clearly indicated by a tap OLED display. 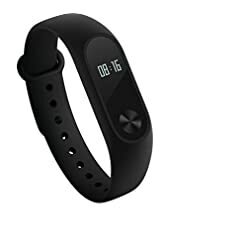 Furthermore, the Alta tracker utilises automatic exercise recognition, which reminds about the hourly goal of 250 steps. 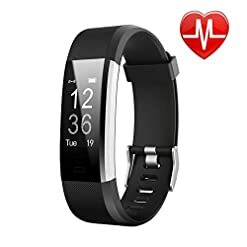 The monitor feels and looks fantastic with a super slim design, and with a long battery life it can work constantly for up 7 days.